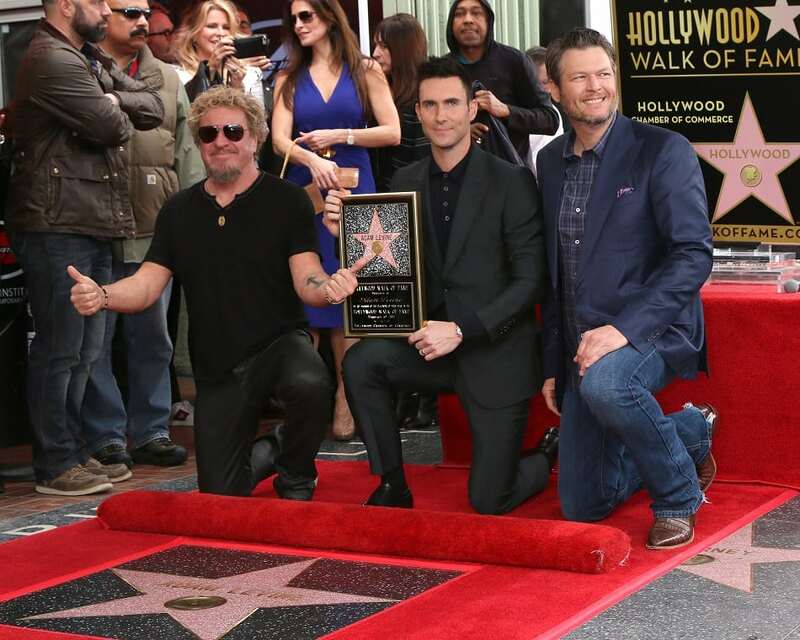 Sammy Hagger and Blake Shelton honor Adam Levine at his Hollywood Walk of Fame Star Ceremony. Adam is the lead vocalist of Maroon 5 and serves as a coach on The Voice. Denis Villeneuve, Aviana Olea Le Gallo, and Jeremy Renner honor Amy Adams at her Hollywood Walk of Fame Star Ceremony. Amy starred in Arrival, American Hustle, Big Eyes and a variety of fan favorites. 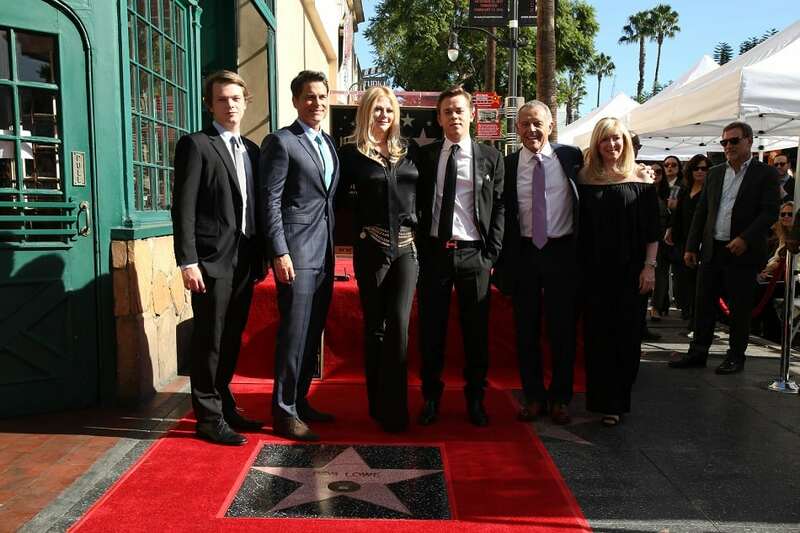 Backstreet Boys at their Hollywood Walk of Fame. The boy band is best known for their hits: As Long as You Love Me, Show Me the Meaning of…, I Want It That Way. 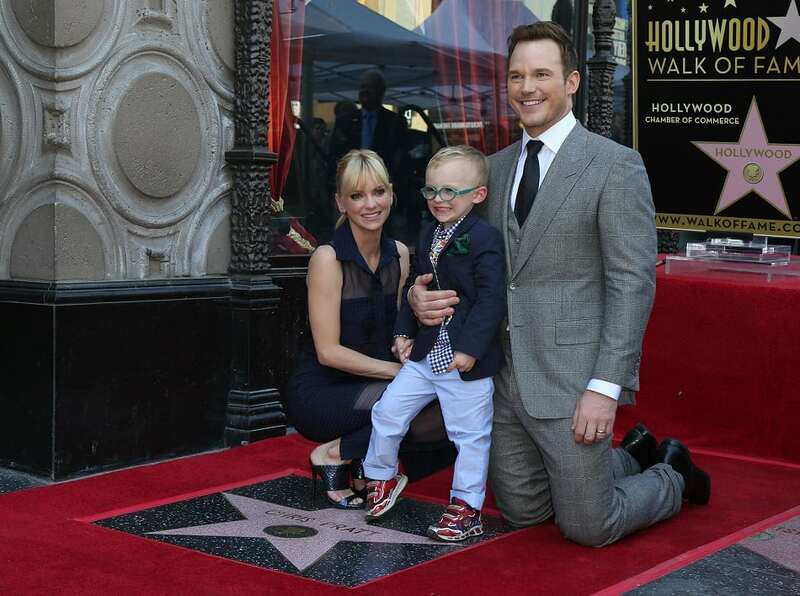 Before his divorce was announced Chris’s wife Anna Faris, and his son Jack smiled for his Walk of Fame Star Ceremony. Chris is best known for his hit films: Guardians of the Galaxy and Jurassic World. Claire Danes is thrilled to be photographed at her Walk of Fame. Claire’s famous roles include Romeo + Juliet, Terminator 3: Rise of the Machines and Homeland. Gary Oldman, Lance Burton and Randy Couture honor Criss Angel at his Hollywood Walk of Fame Star Ceremony. Criss is an American magician, illusionist and musician who began career in New York City, before moving to the Las Vegas Valley. Cyndi Lauper and Harvey Fierstein at their Hollywood Walk of Fame Ceremony. Cyndi is best known for her hits: Girl’s Just Want to Have Fun, True Colors and Time After Time. 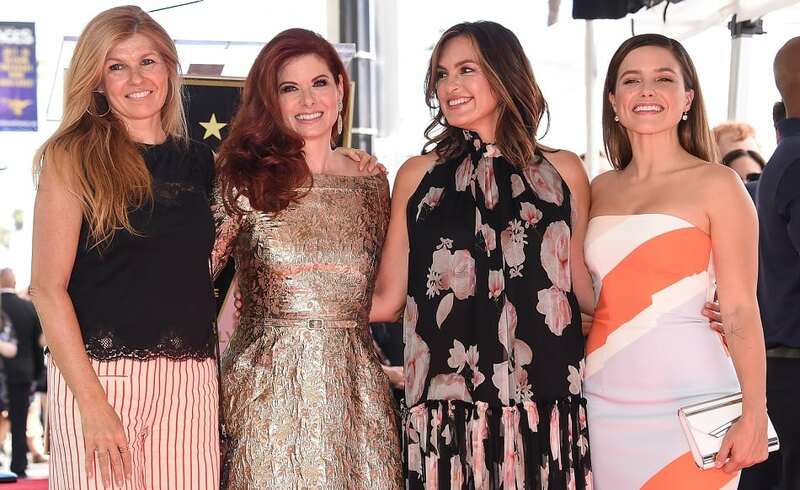 Connie Britton, Mariska Hargitay and Sophia Bush honor Debra Messing at her Hollywood Walk of Fame Star Ceremony. Debra is best known for her roles in The Starter Wife, Will and Grace, and Along Came Polly. Goldie Hawn and Kurt Russell at their Star Ceremony on the Hollywood Walk of Fame. Goldie is famous for her roles in Cactus Flower and the First Wive’s Club. Kurt Russell was a Disney child actor who successfully transitioned to full time acting well into his 60s. He is known for a variety of acting roles including: Escape from New York, and The Hateful Eight. Kurt Russell and Goldie Hawn have been partners since they met on a film set in the 1980s. 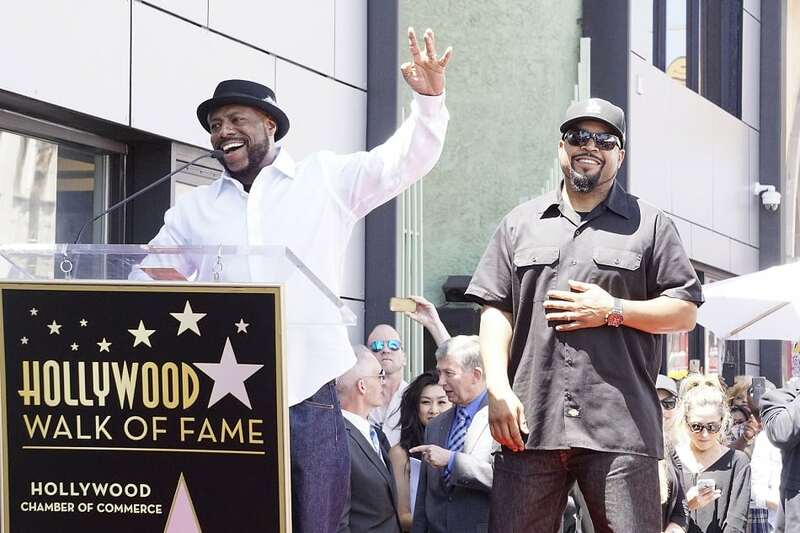 Ice Cube is honored with a Star on the Hollywood Walk of Fame. The NWA rapper is famous for his songs: It was a Good Day and $100 Bill Y’all”. Jane Lynch at her Hollywood Walk of Fame Ceremony. Jane is famous for her role as Sue Sylvester in Glee. 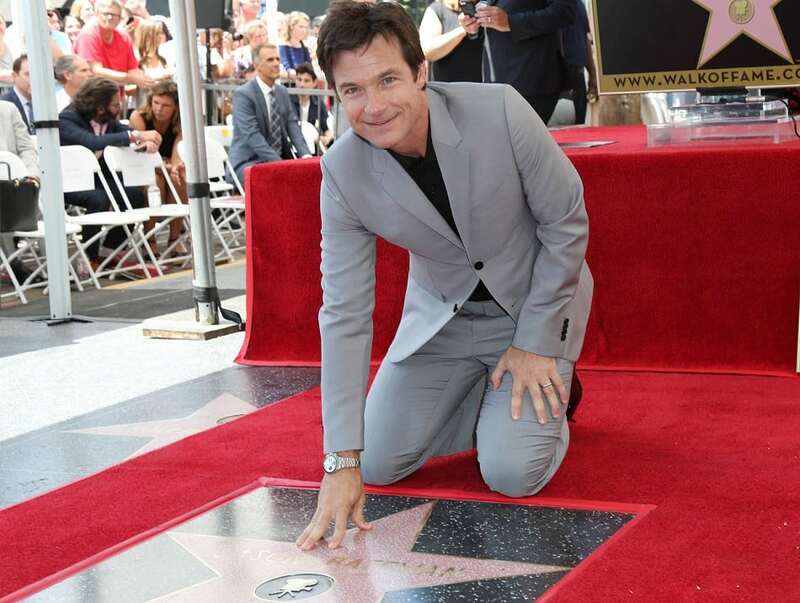 Jason Bateman at his Hollywood Walk of Fame Star Ceremony. best known for his role as Michael Bluth on the TV sitcom Arrested Development. Jennifer Aniston and Justin Theroux honor Jason Bateman at his Hollywood Walk of Fame Star Ceremony. Jennifer is best known for her role in the TV sitcom, Friends. She married Justin in August 2015. Jennifer Lopez enjoying her Walk of Fame Ceremony. While she is an actress, she is primarily famous for her hit songs including: I’m Real, If You Had My Life, and Love Don’t Cost a Thing. Kristen Stewart honoring Jodie Foster at her Hollywood Walk of Fame Star Ceremony. Jodie was a child actress and grew into a highly-regarded actress with starring roles in The Silence of the Lambs, Panic Room, and Inside Man. Julianna Margulies was honored at a Hollywood Walk of Fame Star Ceremony. She is best known for her roles in the TV series: The Good Wife and ER. Keri Russell speaking at her Star Ceremony on the Hollywood Walk of Fame. Keri is known for roles in the TV series: Felicity and The Americans. 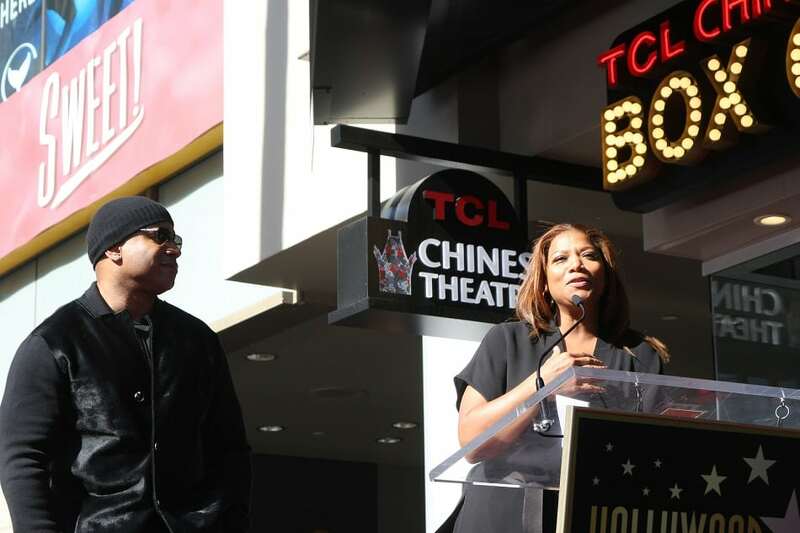 Queen Latifah honoring LL Cool J at his Hollywood Walk of Fame Ceremony. Actor and Hip-Hop artist, LL Cool J is best known for his hits: I Need Love, Rock the Bells, and Hey Lover. 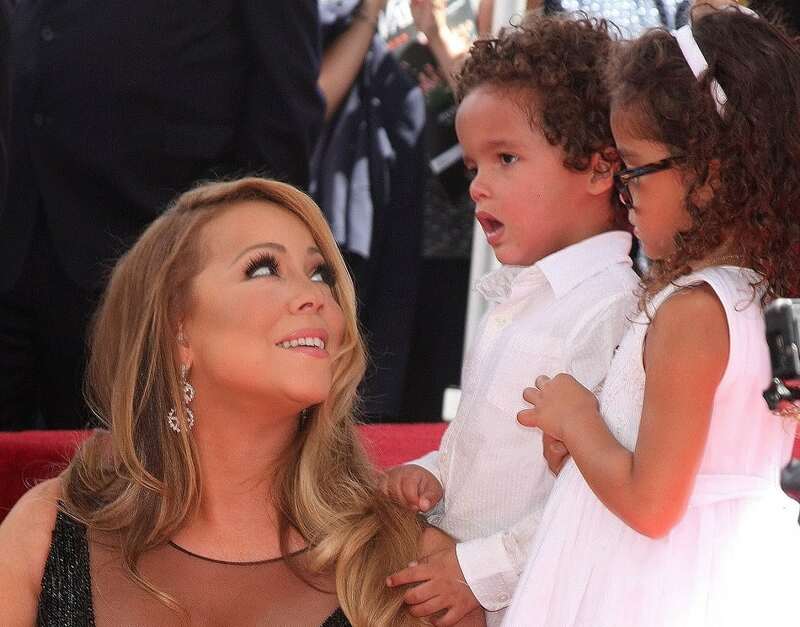 Moroccan Cannon and Monroe Cannon celebrate with their mother who was honored at a Hollywood Walk of Fame Ceremony. Mariah is famous for many hits including: Vision of Love, Always be my Baby, Without You and Hero. Melissa McCarthy enjoying her Hollywood Walk of Fame Ceremony. Melissa is known for her roles in Gilmore Girls, Bridesmaids and The Heat. 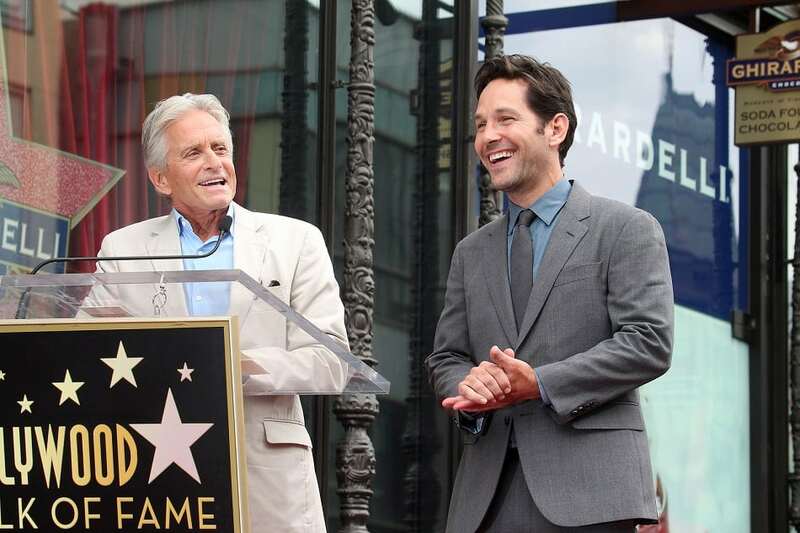 Michael Douglas speaks at the Paul Rudd Hollywood Walk of Fame Star Ceremony. Paul Rudd is unforgettable in Clueless, Role Models and Ant Man. 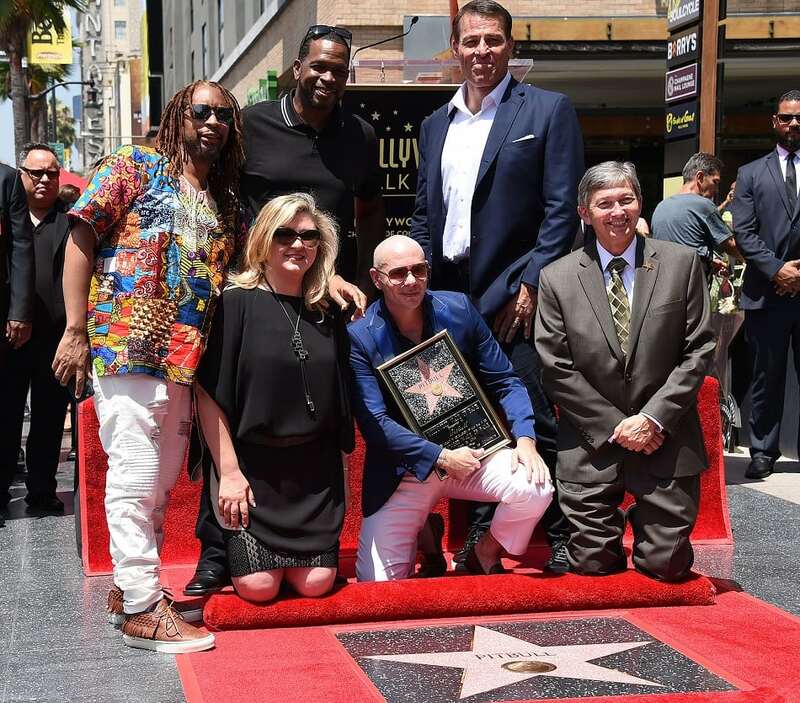 Lil Jon, Luther Campbell & Tony Robbins honor Pitbull at his Walk of Fame Ceremony. Pitbull is best known for such hits as: Timber, Time of Our Lives, and Messin’ Around. Sofia Vergara enjoying her Hollywood Walk of Fame Ceremony. Sofia is best known for her TV role in Modern Family. 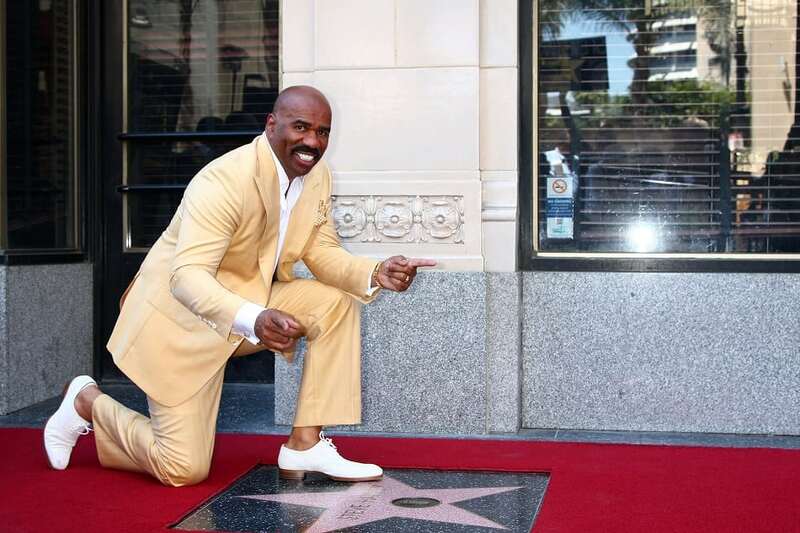 Steve Harvey goofing around at his Hollywood Walk of Fame Star Ceremony. Steve is popular for being the host of Family Feud. 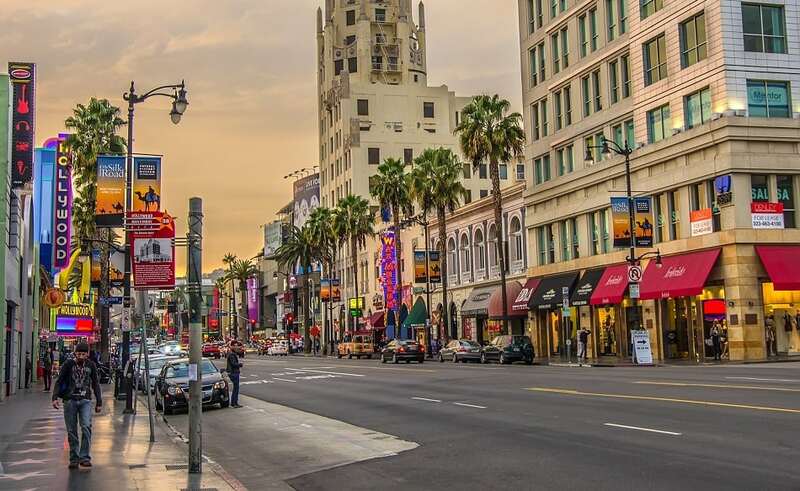 The one and only Hollywood Boulevard, in California.